Runnababez Rock And Roll Racing! 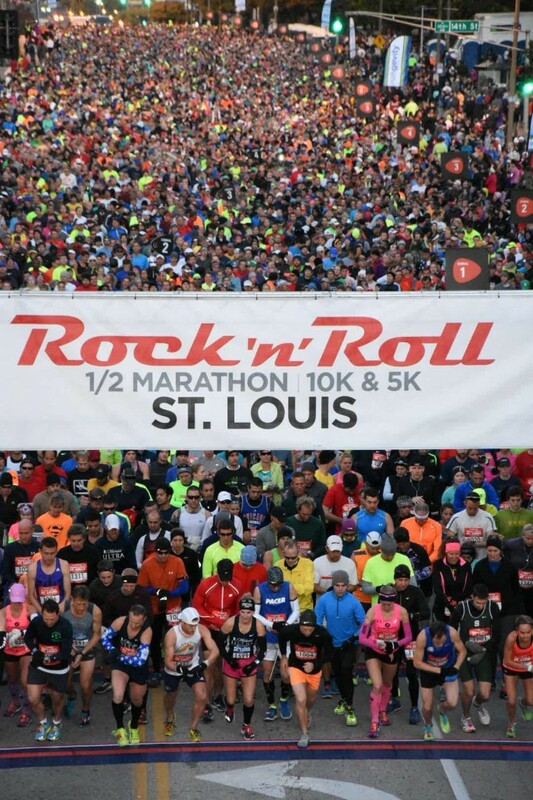 Runnababez Lisa Cary & Amy Marxkors returned to the Rock & Roll STL racing for the second straight year in a row. This year, they both raced the half marathon, as the race cut out the marathon that they both raced in last year due to negative feedback from lots of racers in regards to the marathon being, “too hilly.” Last year, Lisa finished 2nd overall & Amy finished 4th overall in the marathon. This year, Lisa’s race plan was to race off of heart rate. Lisa had an off day and was a few minutes off of her personal best time and, “just didn’t have it.” She fought through the race and managed to finish 5th woman overall with a 1:25, giving the best she had to give on the day. Amy Marxkors finished in 1:28, and was 7th overall. Amy had a good race, and was within a minute of her personal best time! Lisa Cary’s sister Monica raced her 2nd half marathon in the past month, and dropped another 10 minutes off her personal best from just a few weeks ago, to break under the 2 hour half marathon barrier running 1:57! Fellow Fleet Feet runners were running rampant racing over the Rock and Roll course as well! The Runnababez will continue on their fall racing over the next weeks, be on the look out for hot pink! ← Jackie 3rd in Go! 10k~ Carine 1st in 5k!